The apartment adjoins the center that can be reached on foot by walking for 5 \ 10 minutes. At about 50 meters there is a large supermarket, 100 meters from the station Champ de Mars. I had high hopes for this apartment. I liked the pictures, I was familiar with the area the apartment was in, and Francesco, the property manager had been very responsive to all my questions. I was concerned that the apartment did not have air conditioning. Upon writing my concern to the property manager, I was assured that the apartment, being on the third floor, with a northern exposure, had great ventilation. That I was not to worry, I would be comfortable. When I arrived at the apartment, Francesco showed me around, as expected, and then I was on my own to explore the apartment further. I quickly realized that the apartment had not been cleaned thoroughly before my arrival. The kitchen was less than clean, with many remnants of leftover and half used food products in the fridge and cabinets. The other areas of the house needed a good dusting. These conditions made me very skeptical about the overall cleanliness of the rest of the house, bathroom, bedroom and linens, floor. I did clean the house myself, not being able to stay in a home I felt was not acceptable. Upon mentioning this to Francesco, he did send a cleaning lady in during the middle of my 3 week stay. As for the "no air conditioning" issue, the apartment was for much of my stay, very uncomfortably hot. Florence is hot in the summer, even when heat waves do not happen. If you rent during the summer months in Florence, do not rent a place with no air conditioning. Your apartment should be a comfortable place to return home to after seeing and exploring all the wonderful things that Florence has to offer. This home was not that place. A great finish to our Italy trip! We loved it! Close enough and far enough away to the center city with lots of room! Thank you Francesco! vi ringrazio della recensione positiva, fatemi un pò di pubblicità con i vostri amici. In qualsiasi momento volete ritornare a Firenze rimango a vostra disposizione, salutatemi N.Y.
El piso es tal cual se ve en las fotos. Es una tercera planta con ascensor, en un edificio seguro y en una buena zona. Tiene la ventaja de contar con un amplio aparcamiento. Buena situación, a un corto paseo del centro. Gran supermercado, panaderías, pizzerías y comercios a proximidad. Francesco es un señor muy amable y con un trato excelente. En definitiva, una buena opción. Perfecto ! Nos meilleurs vacances ! Nous avons passé les plus belles vacances à Florence. Un accueil chaleureux de Francesco, Un appartement super bien placé à juste 10-15 minutes à pied du centre en marchant doucement. L'appartement spacieux possède de jolis meubles, avec un superbe piano ! Et de temps en temps un adorable petit chat qui vient nous rendre visite. Les plus : - On a pu laissé la voiture dans un parking privé, ce qui permet d'éviter de payer les parkings. - Un grand supermarché (Supermarket Esselunga) à quelque pas, les croissants y sont très bons. - Juste à côté du bureau de Francesco, il y a une joli cafétéria où on peut profiter d'un bon petit déjeuner, le Caffétaio. - En voiture on est vraiment pas loin de Pise, Barberino et The Mall. Des endroits sympa à ne pas manquer. Merci pour tout Francesco et à bientôt ! Ciao ! E' stato un onore per me avervi ospiti a Firenze e conoscervi. Speriamo di rivederci in futuro, salutatemi la bellissima Francia. We had the most perfect holidays in Florence. The warmest welcome from Francesco. An apartment well located just 10-15 minutes from the center by walking slowly (otherwise it is faster). Nothing better to walk to visit Florence and enjoy the best ice cream and foods( The street Dei Neri was our favorite for 2 reasons : Gelateria dei Neri et All'antico Vinaio) with goods prices. There is a beautiful restaurant called Obicà, with delicious pizza and differents foods. The must : - A private parking. -The Supermarket Esselunga near to the house. - El Caffétaio was a sweet coffee room to have breakfast just beside Francesco's office. - By car we are very close to Pise, Barberino et The Mall. Beautiful places. Don't forget to carefully look when you buy something that it is not made in china but made in Italy. Thank you for everything Francesco! Ciao ! In abbraccio from us. in tre anni ci sono state moltissime persone NELL'APPARTAMENTO e mai nessuno si è lamentato per i rumori, anche perchè l'appartamento è al terzo piano, la strada non è molto trafficata. Evidentemente siete abituati a vivere fuori dalla città nel verde, questo è un appartamento vicino al centro della città. Se si vuole vivere vicino al centro qualche rumore bisogna accettarlo, io ho un altra abitazione nelle colline molto tranquilla NEL VERDE, ma non riesco mai ad affittare perchè è lontana dal centro, ALLORA? 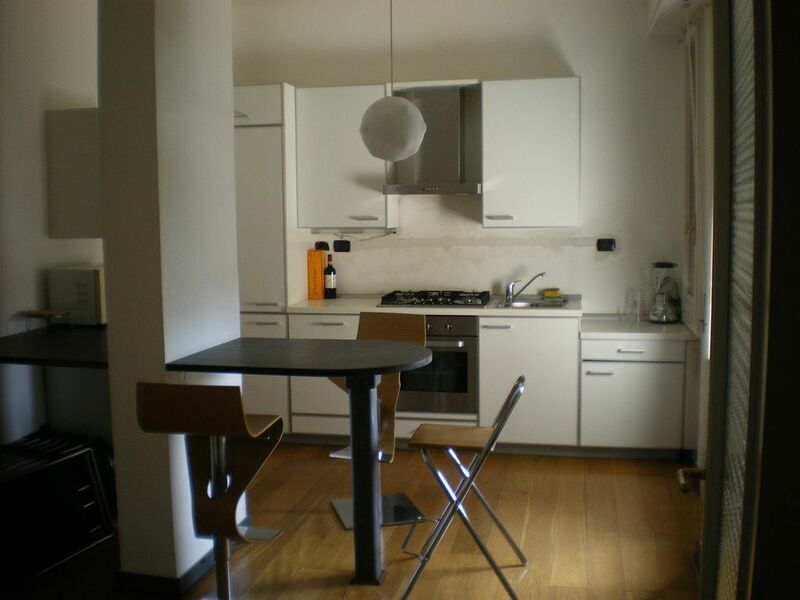 Apartment at about 1000 m from the cathedral of Florence and all the museums of Florence, nearby beaches are Forte dei Marmi (Lucca) at 50 minutes, Lido di Camaiore (Lucca) at 45 minutes, Catiglioncello (Livorno) to 1 hour. The ski resorts are closest Abetone and Monte Cimone in the province of Pistoia and 1 hour drive.